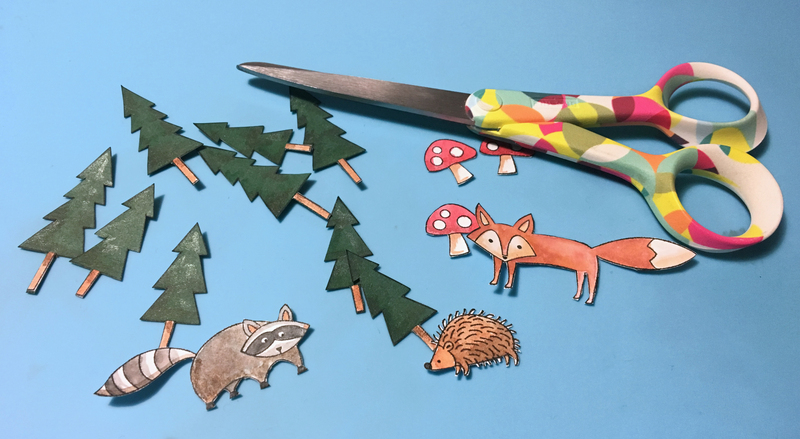 Woodgrain pattern is a perfect match for all nature themed paper crafting projects and especially for these super cute woodland creatures images. 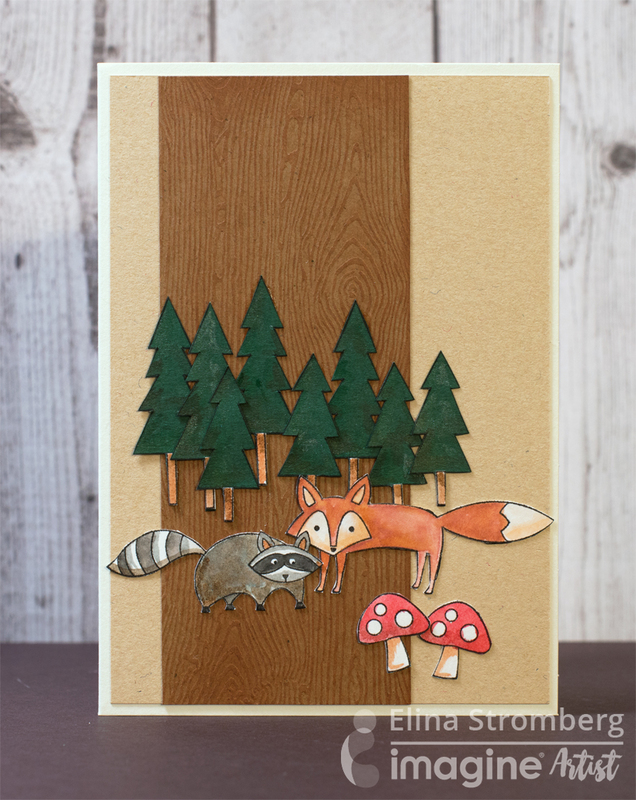 You can add this pattern by stamping, heat embossing, or by dry embossing. There are several pattern variations and options to choose from stamp makers. I used a piece of embossed paper, on which the woodgrain pattern was barely visible. However, a woodgrain (like any other dry embossed pattern) can be easily highlighted with inking. Stamp the animal images on heavy white paper using VersaFine Onyx Black. 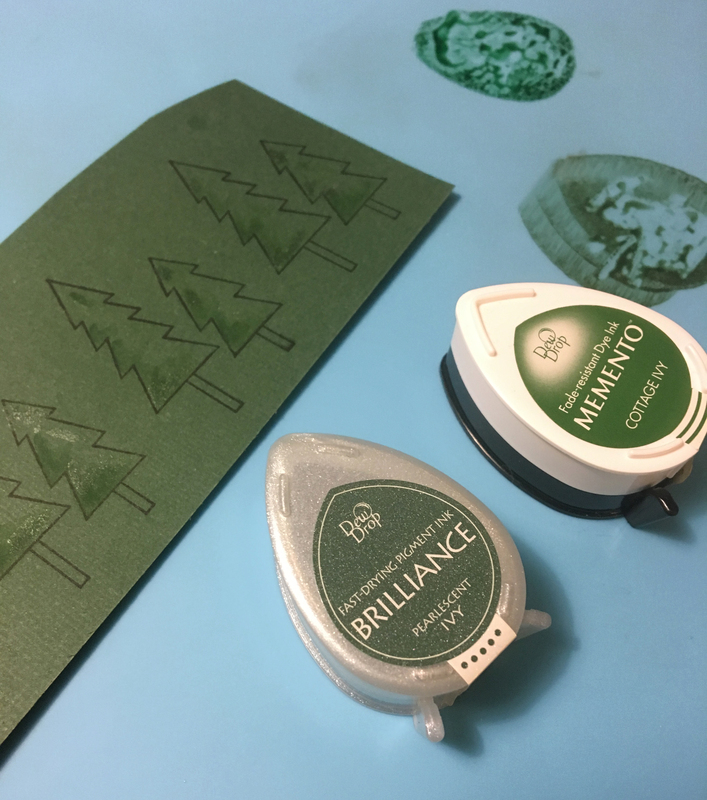 Stamp trees on a dark green paper. 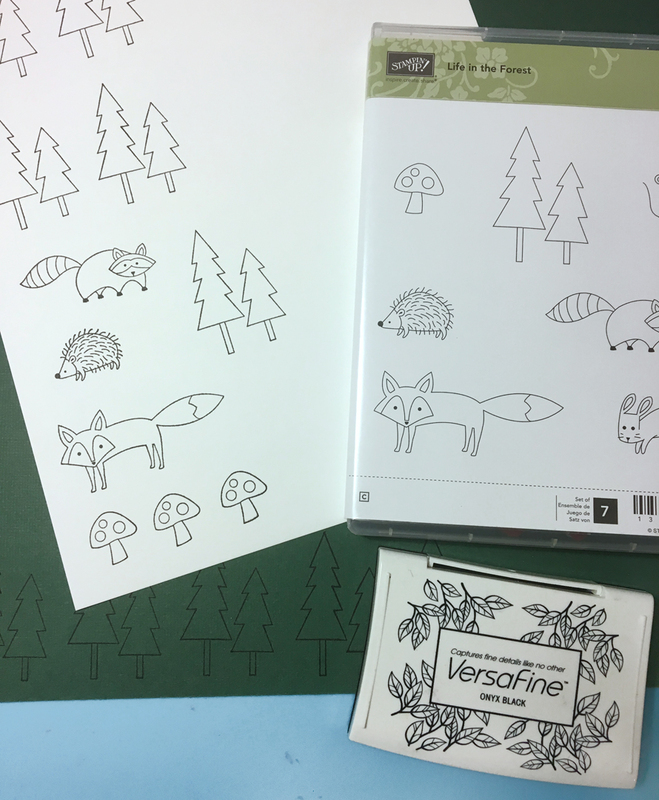 VersaFine is a great stamping ink to resist migration from coloring with water-based inks. Color the images with Memento, VersaMagic and Brilliance inks and a water brush, using your craft mat as a palette. Let dry. Add some nice texture to the green trees by adding green inks. Although it seems that green ink on green paper would not have any effect, I believe it does. Particularly Brilliance in Pearlescent Ivy will add a nice shimmer which is great for making a difference in color tones. 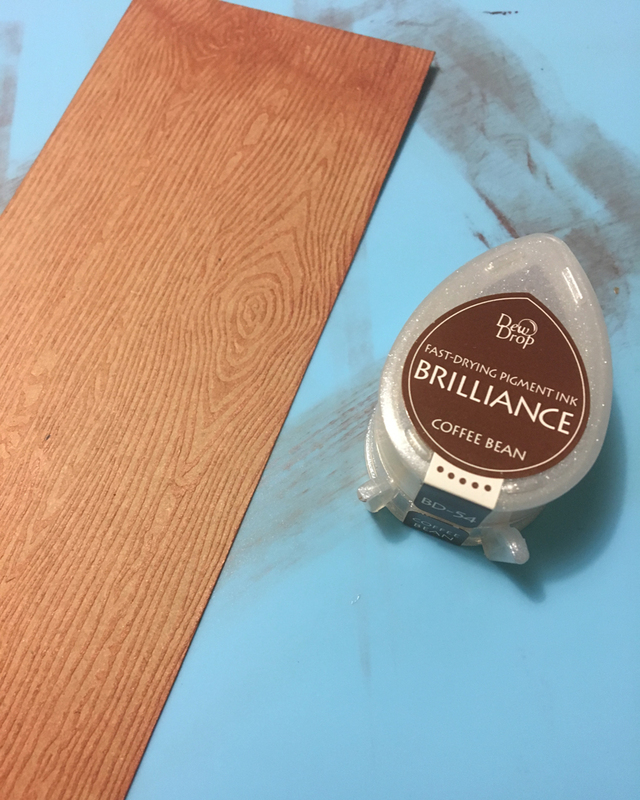 Ink the embossed woodgrain paper with brown ink. 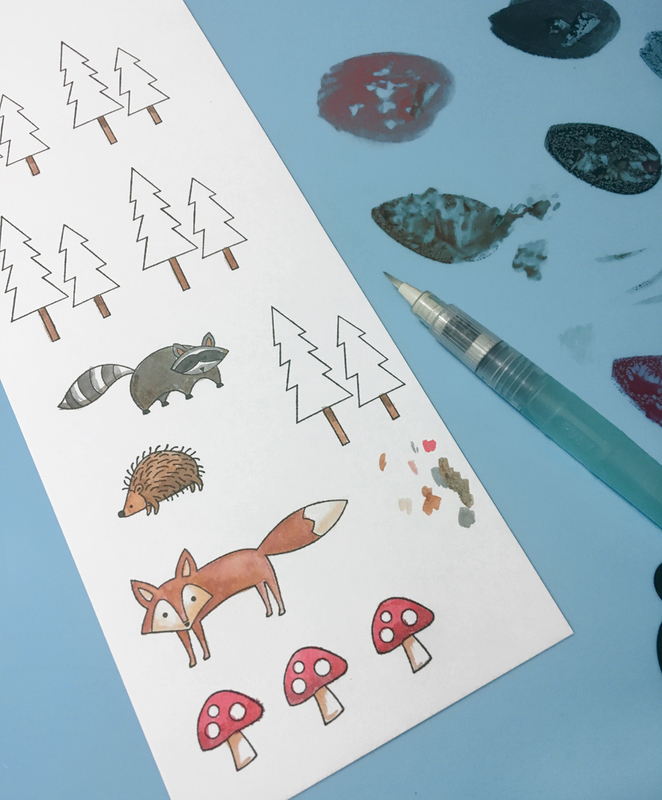 Add several thin layers of color, sliding the ink pad gently on the paper. Cut panel to desired size. Fussy cut the colored images. Layer and adhere the elements on the card font. 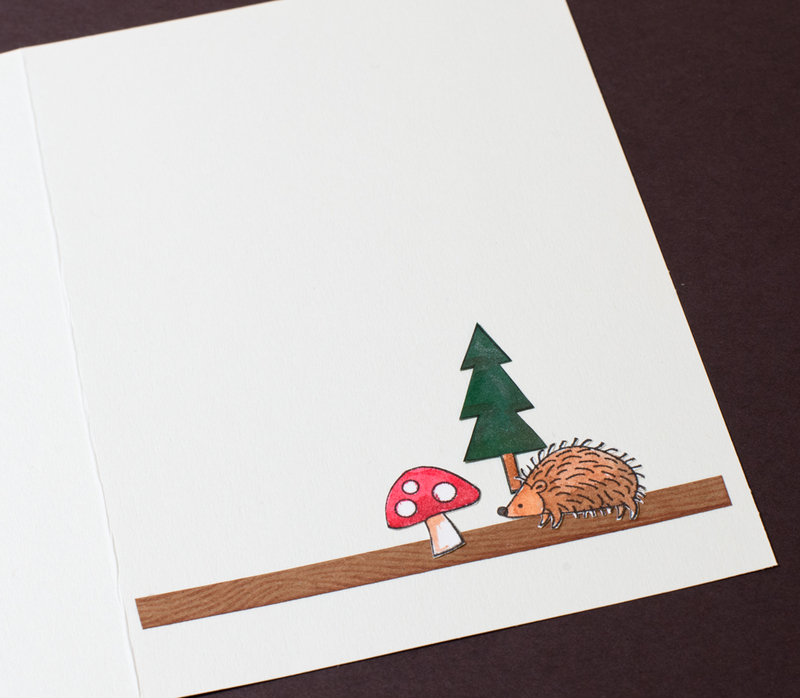 If there are leftover paper strips or stamped images, use them for embellishing the inside of the card. Thank you for reading through this tutorial! If you enjoyed this then please share on social media or leave a comment below! This entry was posted in Cards, DIFFICULTY LEVEL, DIY, Elina Stromberg, Embossing, INSPIRATION, Intermediate, PROJECTS, Techniques and tagged Brilliance, cardmaking, Craft Mat, Embossing, Embossing Powder, Memento, Paper Crafting, VersaMagic. Bookmark the permalink. This was an awesome little write up. I had no knowledge of wood grain paper until today. I appreciate your attention to detail; thanks for all the information. I’m excited to try this out! That’s an adorable fall card !